A struggling artist, trying to make a living at a time of great instability, finds his fortunes change when he encounters a beautiful woman with long, black hair. The woman in question is revealed to be a ghost. I finally got around to seeing Portrait of Jennie about six years ago. And I started to re-title the film "Jennie Monogatari", after noting some similarities with Kenji Mizoguchi's Ugetsu Monogatari. As it turned out, I've not been alone in noting those similarities. The film begins with lofty quotes from Euripides and Keats on life and death, truth and beauty, essentially setting up the premise of a love that transcends human limitations and understand. And this is a beautiful film, gorgeously photographed and emotionally stirring. But what is really transcended here is any bit of logic. The film takes place in depression era New York City of 1934. Artist Eben Abner is alone in Central Park when he first encounters Jennie, dressed as a young girl of maybe ten years old from 1910. Why does this girl, not even a teenager, zero in on a guy who's old enough to be her father? More curiously, while Jennie reappears, seemingly at random, a little bit older, with the goal of being of marriageable age for Abner, why is she fuzzy about memories of her own life? And how does one make sense of Jennie being sent to a convent school where most of her classmates become nuns, when the dialogue points out that Jennie isn't Catholic? And while I'm at it, as it is established that Abner lives in a garret apartment, it didn't strike anyone as odd that Abner's Irish pal, Gus O'Toole would haul a full size harp to accompany himself on a song. Keep in mind that Portrait of Jennie took over a year to produce, with re-writes and re-shoots mandated by producer David O. Selznick for a final cost of about four million dollars. This was slightly greater than the budget for Gone with the Wind, for a film that is essentially an intimate love story. 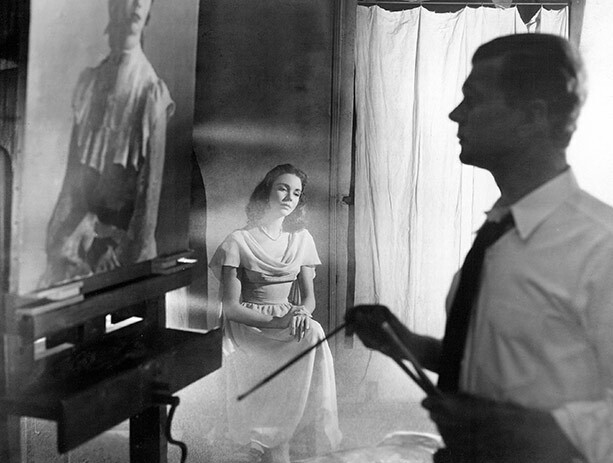 I'm going to have to guess that the assumption was that if the viewer could accept the idea of a love story between a mortal man and a beautiful female ghost, than all the plot holes and inconsistencies will disappear as easily as easily as Jennifer Jones whenever Joseph Cotten glances away from her. Troy Howarth seems like an unlikely choice for the commentary track, given that he is best known for his writings on Italian horror films. Howarth does provide a plethora of details on the production, giving credit where due, especially as Selznick productions are often known for having several uncredited hands in the final work. The commentary is probably of greatest benefit for younger viewers with less familiarity with the actors, including brief biographies of the supporting players. Howarth also discusses how the final, tinted reels of Portrait of Jennie were shown in the process known as Magnascope in a handful of theaters. Reportedly, it was at these theaters that Portrait of Jennie did well commercially. Having been to the theater where Jennie played in New York City, the Rivoli, I can almost imagine how overwhelming the experience would have been. Perhaps why Portrait of Jennie works in spite of itself, and why I like this film in spite of its illogic, is because it is a blend of classic Hollywood filmmaking alternating with scenes taking place on location in New York City. Some of this is probably due to the jolt of neorealism that appeared in films only a couple years earlier. And it's probably what inspired Selznick to work, albeit not successfully, with Vittorio De Sica in 1953, with Jones starring in Terminal Station. There are a couple of longish tracking shots of Jones and Cotten walking through Central Park, a location much used in the film. New York City also appears as a ghost town with the pair seen on the streets in a scene that appears to have been filmed early in the morning. In retrospect, Eben Abner sailing through a hurricane to reunite with a ghost names Jennie is dwarfed by the ambitions of David O. Selznick to provide the ultimate showcase for the woman who was about to be his wife. The new blu-ray of Since You Went Away is the full roadshow version, complete with an Overture, an intermission and an Entr'acte. Almost three hours long, I'm pretty sure David O. Selznick was hoping to have another Gone with the Wind, albeit one about the civilians at home during World War II. The film, based on a novel published the year before, is epic length. Being topical, there are aspects that are dated, some painfully so, but there are also moments of astonishing visual beauty. Like Gone with the Wind, the credits don't tell the whole story of who was responsible for making the film. If IMDb is to be believed, John Cromwell wasn't the only one calling the shots, and Stanley Cortez and Lee Garmes weren't the only ones behind the camera. There is no commentary track, nor have I come across any writing that identified the guiding hand(s) on certain scenes, but there are a series of shots that stand out. One of the first shots of several couples on the dance floor, in an airplane hangar, is filmed from a distance with the dancers seen in silhouette, with long shadows. 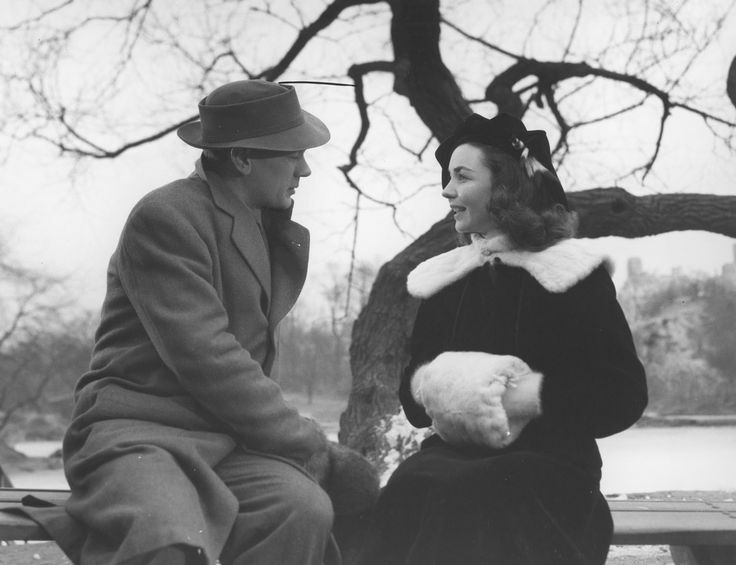 A later scene with Jennifer Jones in conversation with Robert Walker has to the two virtually in the dark, seen in silhouette or with faces partially lit. In the latter part of the film when Jones chases after the train carrying Walker off to war, Jones is seen alone in the train station, lit primarily from behind, with a very long shadow in front of her. I'm guessing that the shots in question, and they do stand out conspicuously here, were the work of Stanley Cortez. Again, I am making a guess here because there seems to the influence of Orson Welles in the composition of some of the shots, with an emphasis of the depth of field. David Bordwell also discusses some of the visual style of Since You Went Away. Selznick, who also took credit for writing the screenplay, intended the film as a morale booster. Jingoism is kept to a minimum with a motorcycle cop doing a slant-eye gesture, a time when the Japanese seemed a bigger threat than Nazi Germany. Those less familiar with this era may be stumped by the reference to "V-Girls", or why someone would want to name their child after Dwight Eisenhower. By the standards of that time, Hattie McDaniel is treated respectfully, although having her dialogue filled with malapropisms was a stereotype that should have been avoided. What may have been considered humorous at the time could well be considered borderline racist. Perhaps well-intended, but heavy handed, is the presumably Jewish psychiatrist named Sigmund Gottlieb Golden. While the casting includes the expected actors in a Selznick production - Jennifer Jones, Joseph Cotten, Hattie McDaniel and Lionel Barrymore, what wasn't expected were comic cameos from Doodles Weaver, W.C. Fields' foil Grady Sutton, and personal favorite, Warren Hymer. There is also a recurring bit as part of some of the traveling shots where the microphone seems to pick up bits of dialogue from the extras, such as the scene in the train station. The effect almost anticipates the seemingly random conversations that weave in and out in something like Robert Altman's McCabe and Mrs. Miller. Where the film as some contemporary meaning is with the brief appearance by Alla Nazimova in her final film appearance. As Sofia Koslowska, a refugee from an unidentified eastern European country, Nazimova recites the Emma Lazarus poem that is engraved on the Statue of Liberty. Clearly identified Jewish characters are incidental to the narrative, with the film ending on Christmas to the tune of "Adeste Fidelis". Nazimova describes America as a fairyland. Over-idealized? Perhaps. But I think the scene may have have had personal importance for Selznick, a first generation child of immigrants, anticipating a more culturally diverse country. The bar is closed with three friends playing an after hours card game. A man comes in requesting a drink or maybe even some food. The man is told in no uncertain terms to leave. The widescreen framing keeps the face of one of the card players on the right side of the screen. The viewer is fairly certain that the late night visitor is going to burst through the door seen on the left side of the same shot. The film switches over to roughly the point of view of the angry man who shoots the three men. It turns out this was a hit for hire with only one of the men as the intended victim. And the woman who did the hiring discovers that the money she assumed would be hers has been swallowed up in her husband's debts. Sweet Virginia made me think of some of the stories of James Cain, best known for The Postman Always Rings Twice. The similarities are with the small town setting with characters just getting by, with characters whose misguided ambitions lead to unforeseen catastrophes. Much of the film takes place in and near a motel managed by Sam Russo, a former minor celebrity on the rodeo circuit. The motel is more a long term home for people down and out than for travelers. Much of the film takes place at night with the sense that some kind of violence will occur. 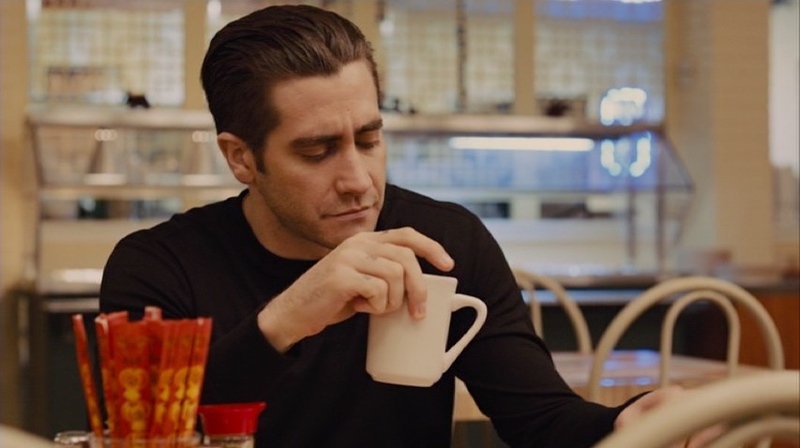 Sweet Virginia is so low key that in spirit it is close to the low budget films of the Forties and early Fifties, when nobody thought that the films made would be considered art, or even be viewed by future generations. The only moments of pretension are a couple of brief montages of Russo riding a bull in a Roanoke, Virginia rodeo. What mostly stays in mind are the shots of empty streets and parking lots, and a diner with more vacant tables than customers. The music by Brooke Blair and Will Blair is mournful, fitting as the small town is something of a dead end for people who seem to have no other place to go. With British Columbia standing in for Alaska, there are a few scenic moments, such as when Lila, the woman who initiates the chain of events, meets with Elwood, the hitman, on a bridge overlooking a river. Unlike Dagg's previous film, River which took place in a rough and tumble Laos, Sweet Virginia is quieter and claustrophobic. Unlike too many films where the filmmakers feel the need to over-explain or underline their story, Jamie Dagg has the sense to stand back far enough to let the audience put the pieces together. The last few minutes of I, Tonya are jarring when footage of the real Tonya Harding is seen just after Margot Robbie's impersonation. Someone like Kate Mara or Ellen Page may have been physically closer to Harding. And Robbie doesn't quite convince as a teen Tanya Harding, going on chaperoned dates under the severely watchful eye of her mother. 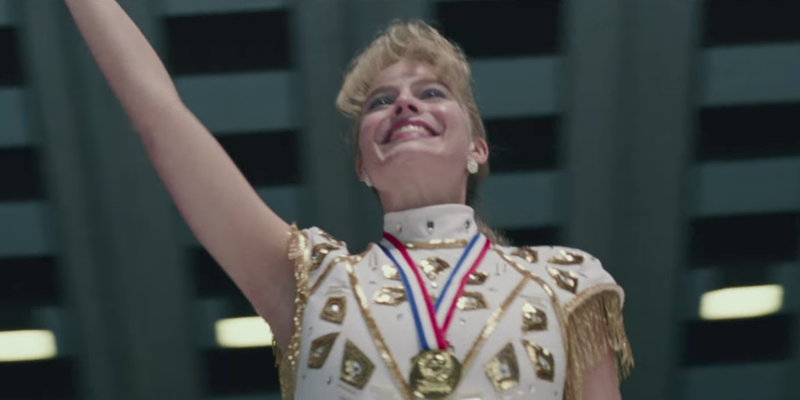 As one who watched the Winter Olympics in the Nineties, and casually followed Harding's career prior to "the incident" as it is referred to in the film, Robbie's casting may be the only questionable part of I, Tonya more for her physical presence than for the performance itself, which is quite watchable. While the film follows Harding's life from an extremely able four year old pushed into competitive skating by her cold, and frequently abusive mother, to her life after being banned from the sport, Gillespie's film also takes a look at media and celebrity, as well as the politics of figure skating. An adjective about her background I recall from reading about Harding when she was making the news was hardscrabble. Athletic ability was never enough. Harding was not cute like Kristi Yamaguchi, nor had the refined WASP looks of Nancy Kerrigan. The film situates Tonya Harding as someone trying to validate herself through her ability on the ice, only to be undermined on all sides. The screenplay claims to be based on the interviews with the actual people in the the story. What is certain is that most of these people were not very bright, and growing up in a dysfunctional household (to say the least) did Tonya Harding no favors. The humor, and there is lots of it, is caustic. The fourth wall is broken with several asides by the characters, while not overdoing the gimmick. The film is clearly on Harding's side, even if cautions the audience that they are watching her version of the truth. Don't be surprised if Allison Janney gets an Oscar nomination as the mother from Hell. I'm usually not one to get into the prediction business, but Janney grabs attention with her sarcasm, insults and just plain nastiness towards everyone within spitting distance. The always reliable Bobby Cannavale is also quite funny as the unnamed producer of the tabloid news show, Hard Copy. Visually, Gillespie likes to make use of some very long traveling shots, the most spectacular being of Harding leaving the home she shared with ex-husband Jeff Gillooly. CGI is also used to seamlessly make it appear that it is Robbie performing the triple axel when not speeding and spinning across the ice. Even for someone like myself, with only casual interest in Tangerine Dream, will find Revolution of Sound to be of interest. While most of the film centers on founder Edgar Froese and his search for new sounds, the film also follows the evolution of Tangerine Dream from psychedelic rock band to an entity that changed personnel and sound every few years, to its present incarnation without the late Froese, as a trio exploring Froese's musical ideas. Considering the under ninety minute running time, and that documentarian Margarete Kreuzer had access to documentary footage of Froese from as early as 1966, I have to wonder how much was left out with the 8mm home movies, home videos, and televised performances, covering a period of sixty years. That early, black and white footage, is from Froese's first band, The Ones. The band's minor European hit, "Lady Greengrass" can be heard on Youtube. The lyrics include a reference to the sky as tangerine in color. A fortuitous encounter between the former art student and Salvador Dali in Spain encouraged Froese to change musical directions. There are also the standard talking heads - musical collaborators such as Queen's Brian May and Jean-Michel Jarre, several former members of Tangerine Dream including Froese's son, Jerome. Directors Michael Mann and Paul Brickhill discuss why they chose to have their films, Thief and Risky Business respectively, scored by Tangerine Dream. The music of Tangerine Dream has sometimes been described as "space music". While that description might be simplistic and misleading, it could well be that Froese's musical inclinations may have been in part a reaction to growing up in West Berlin, at that time an enclosed city surrounded by the then Communist East Germany. It wasn't only the line-up that changed over the years, but the combination of different instruments including the human voice in a later version of the band, as well as the inclusion of female musicians. With the current trio active, the Dream isn't over. This quote from Australian novelist Craig Silvey pretty much sums up Jasper Jones - "I've always been attracted to Southern Gothic fiction. There's something very warm and generous about those regional American writers like Twain and Lee and Capote, and it seemed to be a literary ilk that would lend itself well to the Australian condition." Silvey's novel provided the basis for the film, and Silvey also co-wrote the screenplay. As much as I am usually resistant to coming of age stories, this one is worth looking into because of a less familiar location, western Australia. Taking place in 1969, the film appears to be period accurate without bogging the narrative down with nostalgia for the past. The quote is especially appropriate with a shot of teenage Charlie reading Mark Twain, and glancing through a copy of In Cold Blood, while tentative girlfriend Eliza has a copy of Breakfast at Tiffany's after seeing the film several times. Harper Lee isn't directly referenced, but there is a sense of connection to To Kill a Mockingbird with the youth of the main characters, the small town scandal, the racism, and the acknowledgment by the kids that adults can be lacking in wisdom. Even though he's the title character, Jasper Jones is not the center of the narrative. A teen, a few years older than Charlie, Jones is the mixed race kid, half Aborigine, half white, that is pegged as the town troublemaker. When a young girl is found hanged outside of town, Jones is certain that he will be accused of murder, and enlists Charlie to help him hide the body, at least until it can be determined who murdered the girl. Most of the film follows Charlie as he deals with this secret, his friendship with Eliza, the sister of the hanged girl, his parents and their uneasy relationship, and a town that seems stuck in a past era. The events take place during the week between Christmas Day and New Year's Day. The story would have personal meaning for Rachel Perkins, with her own racial background, and growing up with a father, Charles Perkins, who was a noted activist for the rights of the Aboriginal people. Much of the political aspects from the novel have been eliminated to emphasize the murder-mystery. Toni Collette plays Charlie's often exasperated mother, while Hugo Weaving is seen briefly as the town recluse, something like Silvey's version of Boo Radley. 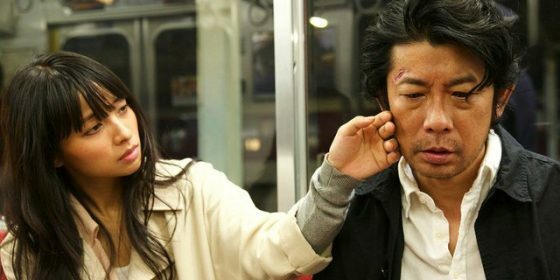 Radiance is about the prickly relationship between Misako, a young woman who writes the audio descriptions for blind people to listen to while they "watch" a movie, and Masaya, a middle-aged photographer who is rapidly losing his ability to see. The two are at the beach. Masaya, knowing he can no longer continue as a photographer, tosses his Rolleiflex camera into the ocean. Misako shouts at him, "Why? Why". She grabs his head in her hands and the two press their lips against each other, to which I thought, "Why? Why?". The history of cinema is of couples who fall in love at the drop of a hat or less. The kiss here came across as unmotivated and unconvincing, more so as neither character is particularly interesting. I can understand that after being known for films that have been both praised and dismissed for being their artistic concerns, that Naomi Kawase would want to make films that are more accessible and have commercial appeal. Kawase's previous film, Sweet Bean was both charming and endearing, making good use of Kirin Kiki and her patented dotty old lady act. Maybe the reason why Sweet Bean succeeded was due to Kawase making a film from someone else's novel as her source. Kawase's heavy hand as a writer gets in the way of Kawase's abilities to let the images speak for themselves. Misako is writing the descriptions for a movie about an older man who's wife presumably has Alzheimer's disease. Misako's own mother also has Alzheimer's, depicted by her constantly waiting for her late husband to return home. Masaya is one of a small group of blind or vision-impaired people who offer Misako feedback on the strengths and weaknesses of her descriptions. Masaya also tries to live as independently as possible, sometimes resulting in his stumbling around the streets of Tokyo. The film within the film is mawkish. The company Misako works for is called White Light. 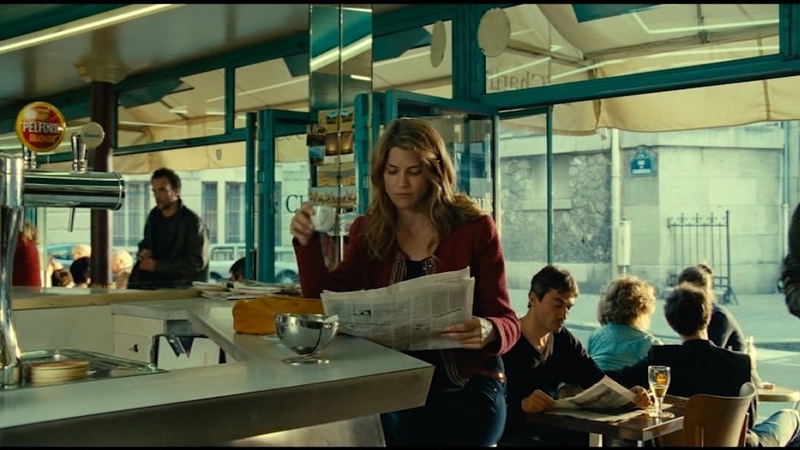 There are several scenes with people staring at the sun, and even a magazine called "Radiance". There are some interesting ideas in search of a better movie. In an attempt to improve her description of the film within the film, Misako interviews the director. This might seem like a good idea, but I would think Kawase should know better, that what how a viewer interprets a film might not be what the filmmaker had intended or assumed was being expressed. What this scene suggests is that the description writer's job is to convey the director's intentions rather than allowing the audience to form its own conclusions. At no time does the film seriously question whether providing an audio description for what is essentially thought of as a visual art an act of reinterpretation of someone else's work. Radiance stars Masatoshi Nagase. Even if you don't recognize the name, Nagase has appeared recently as the Japanese poet in Paterson as well as an earlier Jim Jarmusch film, Mystery Train. Among the better known Japanese titles are Suicide Club and The Hidden Blade. Nagase also starred in Sweet Bean as the owner of the failing one-man restaurant whose fortunes change when an eccentric old woman volunteers to help him cook. See any of those films instead. You might have seen this movie - a young woman, in her late teens, has psychic abilities she neither understands nor is able to control. She's also socially awkward, and the hormones are starting to kick in with her first love. There is also the controlling parent who is a very devout Christian, with very clear ideas about sin. It may sound like a cheap shot to describe Thelma as the followup to Carrie and The Fury that Brian De Palma never got around to making. Trier's film may be described as derivative, but it's done so well that it doesn't matter. Anyone really paying attention knows of films that stand on their own merits that took other films as a starting point or reworked enough of the plot to disguise the source. Even Trier has acknowledged inspiration from Stephen King, via David Cronenberg's version of The Dead Zone. And a glance at other reviews would indicate that when the Norwegian film gets its theatrical release, more comparisons to Carrie will be inevitable. Unlike the other films that are recalled, leading up to set-pieces of uncontrolled death and destruction, Thelma achieves a poignancy in its final scene. Part of that is probably due to the performance of Eili Harboe in the title role. Thelma is starting college in Oslo, away from her family and small town. She lives in a virtually empty apartment, save for a bed, a lamp, and a bookcase with more shelves than books. There are the unexplained seizures. There is also humiliation following attempts to fit in with the seemingly more sophisticated students. Most difficult to handle was falling in love with another classmate, a young woman named Anja. Trier's occasional symbolism can be obvious, such as the introduction of Thelma and her father, walking on some very thin ice, or the use of snakes in a couple of dream sequences. On the other hand, Trier gets milage out of some well worn devices like the huge chandelier that seems ready to break from its moorings, or the inexplicable flickering lights. 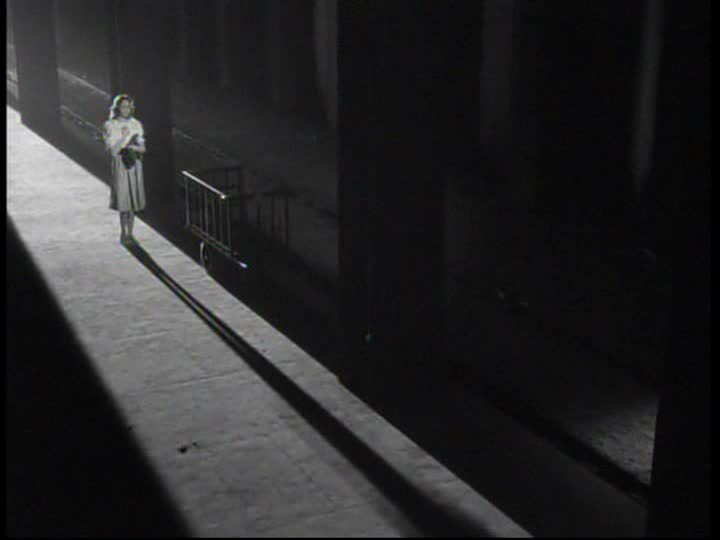 There are elements of Hitchcock as well - not just the ominous black birds that appear in key scenes, but the way Trier establishes locations, especially with full shots with the camera directly overhead, moving deliberately, as if doing surveillance, closing in on Harboe almost if she was chosen at random. Part of why Thelma works is because Trier saves the obvious special effects for later, after the viewer has developed sympathy for Thelma, and greater understanding of her predicament. The first thing I noticed were those deep, haunted eyes. It took me a while to realize I was looking at Timothy Spall. He has lost a significant amount of weight since his previous screen appearance, as Holocaust denier David Irving in Denial. The harsh black and white cinematography makes Spall look even more gaunt. 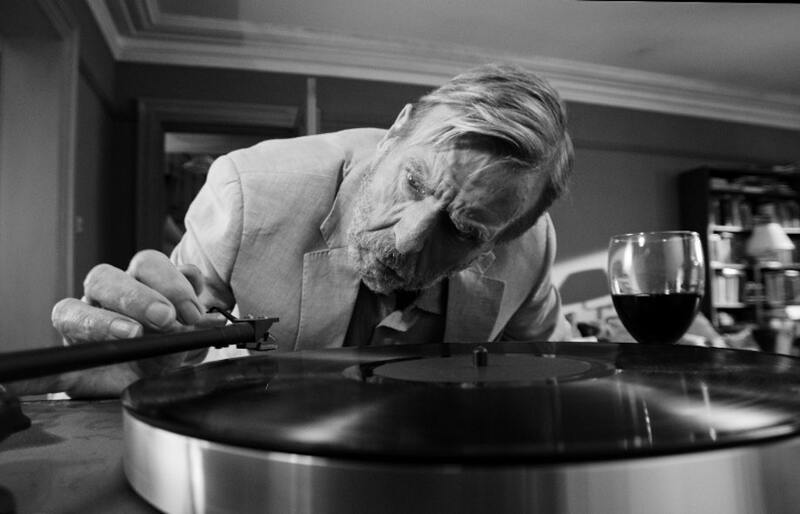 Sally Potter uses Spall's recently achieved thinness to her advantage as Spall plays the part of a former academic whose announcement of imminent death is the first of several revelations, bombshells really, shared with the guests in The Party. The collection of vinyl albums may be shorthand for placing Spall's character as part of an older generation. In retrospect, the first song we hear, Bo Diddley's "I'm a Man", turns out to have been that character's declaration of independence, and as understood later, a reclamation of masculinity. Spall's character, Bill, is the husband to April, played by Kristin Scott Thomas. Taking place mostly inside a London home, April is celebrating her being named as Health Minister with a select group of friends in attendance. Bill is compared to Dennis Thatcher and Prince Philip for his taking the back seat to his more accomplished wife. His announcement of his terminal illness sets of a cascade of former secrets between the guests, the peeling of half a dozen onions, leading to death and murder. I should mention this is a comedy. Potter's film is about identity politics. The two words individually or together are the subject of her investigation. This is made most clear when Cherry Jones' characters is described as "a first-rate lesbian, and a second-rate mind". Academia, sexual identity, and politics in its various forms are all skewered. The film takes place in the restricted spaces of a living room, kitchen, bathroom and rear patio. Politics are inescapably personal here. The comedy is primarily verbal, especially with the aphorisms of "Life Coach" Bruno Ganz being shot down by soon to be ex Patricia Clarkson. Visually, especially with the frame filling close-ups, this looks like a horror movie. The film alternates with full shots that remind the viewer of the geography of that first floor of the house, so we know where everyone is in every scene. The previously mentioned lighting makes Timothy Spall appear virtually desiccated, but the other characters, especially Scott Thomas' April, hardly look much healthier. While discussions of the National Health are specifically British, other aspects, such as Cillian Murphy's coke snorting banker can be seen as an international archetype. The music is entirely diegetic, the turntable given a workout when it seems impossible to find just the right music during the grimmest of moments. And befitting the best comedies, Potter manages to save her best joke for the end of the film. A black comedy about crooks and schnooks fighting each other over a bag of money? Nothing new here, except this film is animated and from mainland China. 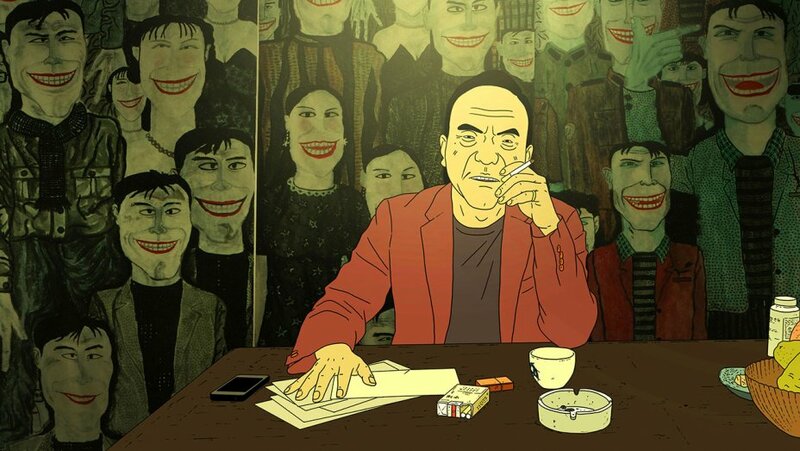 And if the Chinese government has its way, you wouldn't be able to see Have a Nice Day, as happened when the film was pulled from an animation film festival in France. Liu's film takes place in an unnamed city in southern China, run-down and dingy. The glitz and glamor of Beijing or Shanghai are nowhere to be seen here. Capitalism here means making just enough to get by. By western standards, the loot in question is a relatively modest amount - one million yuan is actually a bit more than one-hundred fifty thousand dollars. Still, it's enough to get people to kill each other for possession of the bag, money belonging to local crime boss Uncle Liu. On the way, Liu (the filmmaker, not the gangster) makes points about such classic Chinese tropes as family and loyalty, the concept of freedom, with references Mark Zuckerberg, Bill Gates and Jack Ma, founder of the hugely successful e-commerce site, Alibaba. At one point, the film stops for a music video moment, a song about Shangri-la, with images that are parodies of Chinese propaganda posters. The only reminder of the political realities of where Have a Nice Day takes place with the face of Mao Tse-Tung on the red one-hundred yuan bills. The animation is limited, and some of the characters are drawn in a way that I found reminiscent of Satoshi Kon (Perfect Blue). Liu gives a hint about when the film takes place when Donald Trump is overheard on the radio. That Chinese authorities will do what they can to keep the home audience from seeing Have a Nice Day is evident not only because of the motley characters and scenes of violence, but also the presentation of the legal authority seen in the film - a mannequin dressed as a traffic cop, ignored and ineffective. With an obvious nod to Rear Window, an unexpected glance at North by Northwest, and classic giallo added to the mix, Cold Hell is a thriller that actually thrills. Closer in spirit to his creepy Anatomy than the Oscar winning The Counterfeiters, Ruzowitzky is smart enough not to overplay the more exploitative aspects of his film within the tidy hour and a half running time. Ozge, a young Turkish immigrant living in Vienna, drives a taxi and practices Thai style kickboxing. At the same time we see her taking on a pair of men who are blocking the road with their car, while engaged in conversation, the film cross-cuts to the scene of a grisly murder of a woman. Later that evening, Ozge notices the burned body of the woman, across from her own window, and has a glimpse of the murderer. Ozge's worst fears about the murderer pursuing her soon become realized. There is some topicality with Ozge's status as cultural outsider, but more than that is the examination of her treatment as a woman. Ozge is seen fighting at virtually every turn, whether it's casual racism or sexist remarks, or the more institutionalized behavior within her family. What may stir some controversy is that while several characters identify themselves to one degree or another as Muslim, the closest the film comes to having a male hero is a cop named Christian. That said, Cold Hell can be enjoyed on a purely visceral level with a manic night time taxi ride as Ozge tries to fend off the knife wielding killer, or the scenes of Ozge showing what she can do with her fists. Much of the film takes place in the dark, interiors barely illuminated by florescent lights, streets even darker at night with perpetual rainfall. Some of the intentionally garish color recalls past giallo films, especially those of Mario Bava. The screenplay is by Martin Ambrosch, no stranger to reworking genre tropes - The Dark Valley is a Euro-western that takes place in the Alps. In the past few months, there have been two British films with overlapping portrayals of historical events. Dunkirk covers a very short period, while Darkest Hour is of the months leading up to the evacuation of British troops in France, and shortly after, from the point of view of Prime Minister Winston Churchill. Too some extent, one might describe the films as complimentary, each illuminating aspects of the other. There may be some coincidence in having these two films out at this time. I am also thinking that the two films may be responses to more recent British history, especially Brexit, and that the films are an examination of British identity with the rest of Europe. I also had to be reminded, in checking out Joe Wright's filmography, that Dunkirk also figured in his earlier film, Atonement. There's more of the battle in Atonement than in Darkest Hour, which mostly shows the civilian fleet of yachts that served to rescue the troops. The most moving moment in the latter film is of Churchill and his secretary alone in the tiny underground office where she works. Churchill notices a photograph, which is revealed to be that of the secretary's brother. 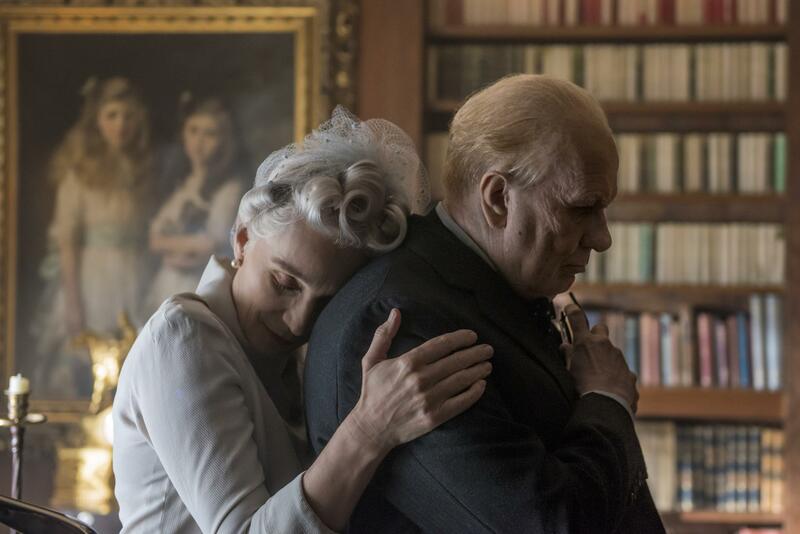 The exchange of looks between Gary Oldman as Churchill and Lily James as the secretary is all that needs to be said about the human toll of war. Oldman is barely recognizable under the padding and make-up, and it's easy to see why the advance word is centered on his performance. For me, the one to watch is Kristen Scott Thomas as Clementine Churchill, who keeps her head while her husband rages, reminding the often frustrated statesman of his better qualities. Maybe it's the wit of Anthony McCarten's dialogue, but the combination of slyness and warmth enable Scott Thomas to steal the film from the bravura Oldman. Wright, for his part, loves his tracking shots and overhead shots with what could only be described as God's point of view, with the camera moving further up and away, looking straight down at the activity below. Yet the best moments of Darkest Hour are not those of pyrotechnics, but are more subtle, such as the above described scene of Churchill and his secretary, or when Churchill meets King George to be appointed Prime Minister. In a full shot of the two men, virtually in silhouette, Churchill, as in protocol, kisses, the king's right hand. In that same shot, we see the king taking that same hand behind his back for a quick wipe. 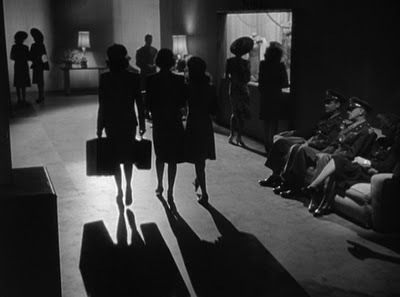 Much of the film takes place in shadows and dimly lit environments, almost suggesting that Wright and company may have taken the title a little too literally.